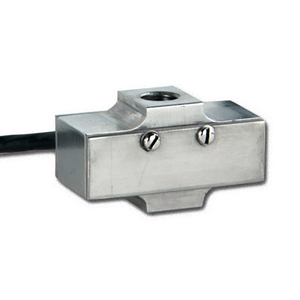 The LCM703 Series is an economical universal (Tension/Compression) load cell with an extremely low profile. Ranges above 50 kg are Stainless Steel; 50 kg and below are Aluminum. The LCM703’s low profile, economical price and rugged design make it suitable for many industrial applications including robotics, automated weighing systems or as part of a batch-process control system. The LCM703 is also available in standard configurations, with 0-10 to 0-1,000 lb ranges and standard threads. Please see the LC703 for complete details, or contact our Pressure department for more information.